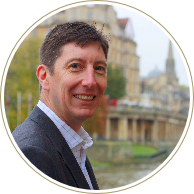 Corporation Tax | ART Accountants based in Bath. At ART Accountants Limited we believe that the bare minimum you should expect is the timely preparation and submission of the company’s corporation tax returns to avoid late filing penalties. We work as one team to ensure the corporation tax is completed at the same time as the statutory accounts and guarantee a face to face meeting within our fixed fee quote to discuss the tax figures before they are finalised. We see our review as a check of the company’s tax affairs to ensure that the company is not falling foul of any other taxes such as VAT and PAYE by a forensic review of transactions within the nominal ledger. We carry out detailed capital allowance planning to ensure that we achieve the correct tax and accountancy treatment of any large expenditure between capital and revenue to maximise savings. We have experience of helping manufacturing, technology and engineering companies claim the tax benefits available for costs incurred in research and development (R&D Tax Credits). The rules of this scheme our ever changing and professional advice is essential to ensure the qualifying R&D eligible costs are identified. We can help companies meet their filing obligations for interest payments made to individual directors or investors through completion of the quarterly CT61 returns and supporting R185 certificates. We can advise client’s on maximising both group relief and loss relief claims. iXBRL tagging is required to submit the company accounts online to HMRC. This is provided automatically as an extension of our service in preparing the statutory accounts. We also offer iXBRL tagging as a stand-alone service to companies that prepare their own statutory accounts and only require us to assist with their corporation tax reporting requirements. At ART Accountants Limited we want to know the whole picture, so that we can help you get the most out of your business.